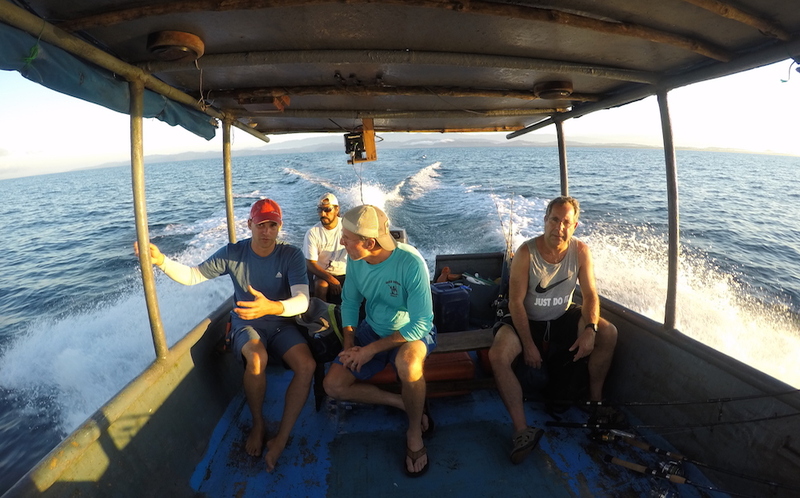 This past December myself and a group from My Fishing Cape Cod traveled to Costa Rica, where we met Ryan for a week of fishing. 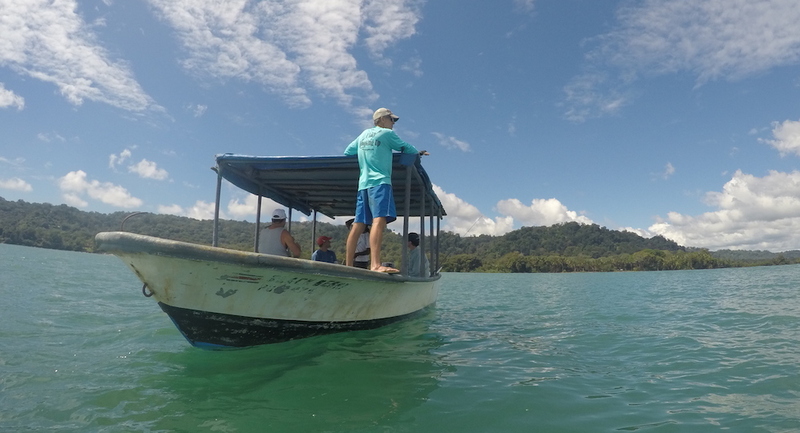 During that week, we spent two days fishing by boat in the waters of the Golfo Dulce. Our local guide Quincho chartered us in his panga-style boat the "Blackberry", named for his past penchant for drinking blackberry wine. Quincho built this boat himself, and it took him only a month to construct. The Blackberry is a typical Tico boat, about 18 feet long, crafted mostly from fiberglass, with a shallow v-hull, low freeboard, and a blue roof supported by steel and wood framework. A 60 hp Yamaha outboard driven from the transom moves the boat at a surprisingly fast clip. While the roof can make it hard to cast, especially with five anglers aboard, it offers necessary relief from the sun. Quincho, like every other Costa Rican we met, is extremely friendly and relentlessly helpful. He speaks little English, but we had no trouble communicating. Please login or start a My Fishing Cape Cod membership for 1.00 dollar to access the rest of this article. 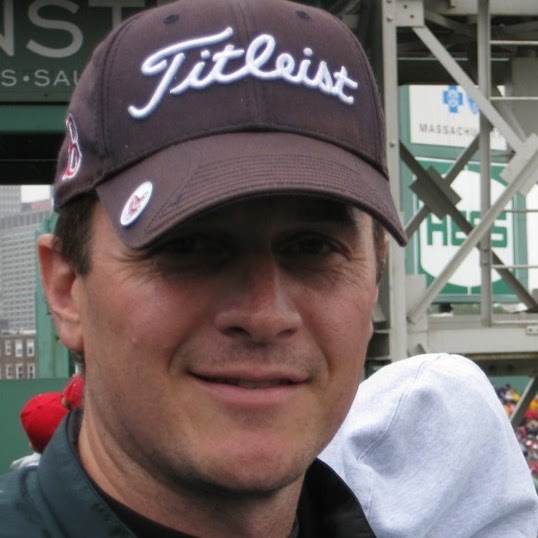 Jim joined MFCC as a member after a shoulder injury put an end to his obsession with golf. Jim bought a boat and moved from Boston to Cape Cod where he fishes for various species from shore and from his boat, which is moored in upper Buzzard’s Bay. Great write up and videos. Finally got around to looking at it. Catching That mahi mahi still puts a smile on my face. Gotta get back down there this fall. I am leaving on Thursday for Quepos CR . Hope to share some stories of some great catches with you. Gluck Robert! Definitely let us know how things go, and have fun! Great article! Really enjoyed it. I have gone “game fishing” in Cabo and it is a lot of fun. Problem I had was often it felt like the gear was to big for what we were catching. We troll around and then basically reel the fish in. Looks like you guys were really fishing! Can’t wait for the Cape! I’m hoping I have a chance to fish with you this summer Jim! We definitely had some great light tackle action during this trip! All I can say is…next year. We missed you and Tom on this trip, but yes hopefully next year we can make it happen! 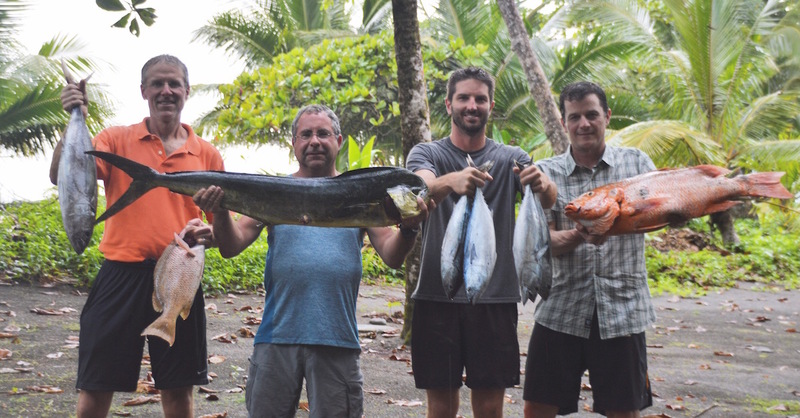 Nice to read about you guys getting into all sorts of fishing adventures down there. Fun stuff. Thanks for the story Jim. Hi Steve, There were some non-fishing adventures down there, too. I highly recommend it. Looking forward to seeing you in local waters soon. I enjoyed your article and your videos Jim, nice to see in the dead of winter. That was a great trick that Quincho used to quiet down the Yellowfin by turning it on it’s back. That “tonic immobility” state is used by researchers to quiet down sharks when tagging. Also the same technique that Orcas use when hunting White Sharks. They ram the White Shark from underneath to stun it, then turn it onto it’s back to put it in a trance. While the shark is incapacitated, the Orcas take bites out of the liver. Several large White Shark carcasses have recently washed up on beaches around the world with everything intact except the liver. It is believed that a few pods of Orcas have developed this technique for hunting large White Sharks. My article, Ryan’s videos and photos. I hadn’t noticed that “tonic immobility” trick myself. Interesting about the Orcas. Thanks, Dex! Awesome write-up Jim, and thanks again for coming on the trip! My pleasure, on both counts. Looking forward to next year! Thank you Jim. I hope to go next year. Your post convinced me. Thanks, Jake. I look forward to fishing with you next year, then. Glad you enjoyed it, Billy. Looking forward to seeing you in local waters this summer. Great stories and videos Jim…thank you! Thanks, Ron. It was my pleasure. Nice write up Jim. I would’ve loved to come, but for the very first time, my fiance’ wouldn’t allow it, as it’s our honeymoon spot for the upcoming winter. Looks like you guys did well!